In retrospect, I can’t believe it took me this long to play Age of Empires III. Even if MMORPGs have become my focus these days, I grew up loving the real time strategy genre, and it still feels the most like home to me. When I think of the games that defined my childhood, nearly all of them are RTS games: names like StarCraft, WarCraft, and Age of Empires. I can’t even begin to count the number of hours I lost to the Age of Empires series. 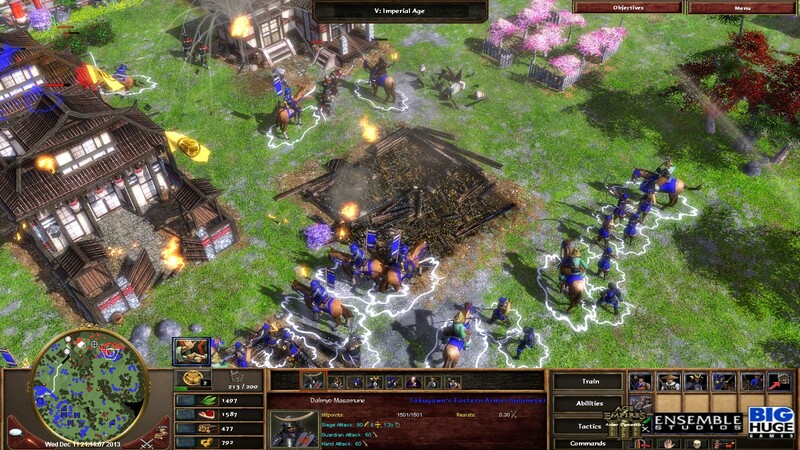 I remember playing the original Age of Empires with my best friend online — my very first online gaming experience. I remember pitting my Mongol horse archer armies against the AI in a rough estimate of eleventy bajillion skirmishes in AoE 2. The Age of Empires series sparked my interest in history. I spent many hours researching ancient cultures, particularly the Mongol hordes, because I wanted to learn more about the civilizations I’d been playing as. I also loved the Age of Mythology spin-offs, and they helped to kick-start my lifelong love of ancient mythology. 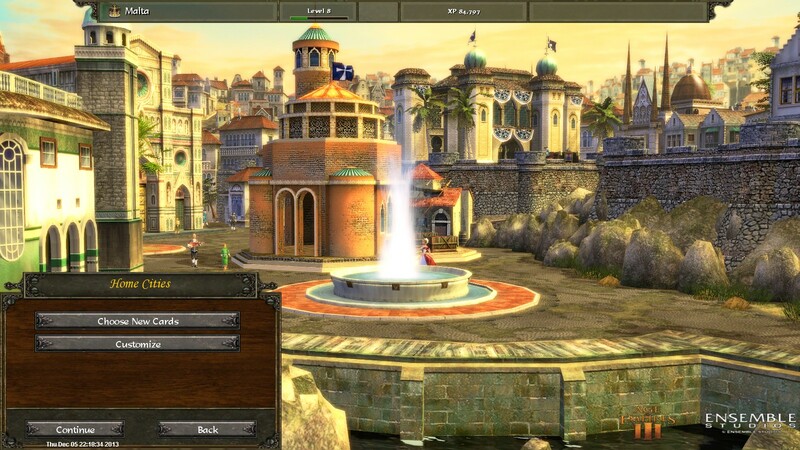 But Age of Empires III was another game that came out during that period where Real Life prevented me from gaming. Even when I did return to the realm of pixelated slaughter, it sort of got put on the backburner of my mind. I suppose it’s down to the fact that, for whatever reason, I never had much interest in history after the Middle Ages but before World War 2 — the period AoE 3 focuses on. Still, it seems silly that it took me this long to play it. Mechanically, AoE 3 changes little from the previous games in the series. The basic formula remains unchanged from the original: Begin with a town center and some villagers, gather resources, advance through the ages, and eventually build yourself into a mighty military power and crush your enemies. Stone has been removed as a resource, and there’s now one more age, but those are about the only major changes to economics, at least for the vanilla civilizations. The native and Asian civilizations added in its expansions have some unique economic mechanics, such as the native fire pit, which provides powerful buffs when villagers are assigned to dance at it, and the Asian civilizations’ export resource, which can be used to recruit European support. Similarly, the military mechanics are a familiar rock/paper/scissors set-up, only slightly altered by the more advanced technologies of the setting. Basically, infantry have guns instead of swords now, but they still counter cavalry. And there are a few significant updates. One is that players now begin each game with an explorer unit. These are similar to the heroes from Age of Mythology: They’re more powerful than standard units, have special abilities, and can be revived if killed. They can also collect treasures hidden around the map, ranging from small boosts of resources to units that will join your army. Explorers are hardly game-changers, but searching for treasures does help make the early game a bit more interesting. The other main addition is the home city system. Each civilization has a home city that can be leveled up like an RPG hero as you play the game. As your city levels, it gains access to more and more powerful shipments, which are boosts that can be called upon during a game. Shipments can be anything from extra resources, to more units, to powerful upgrades for your forces. I’m not sure how I feel about home cities. There’s certainly nothing bad about them, but aside from speeding up and streamlining the game slightly with shipments, they don’t really add much. Your customization options are never great enough that it starts to feel like it’s “your city,” and shipments, while plenty useful, are never game-changing enough to feel all that exciting. I suppose there’s something to be said for the persistent progression between battles, but I feel that home cities are somewhat a case of wasted potential. The one other change is that the single player campaigns are now fictional stories rather than being based on actual events — barring the Asian campaigns, which are more historically based. I’m not happy with this change. I preferred the historical epics of the original games — they were a very rare case where a video game actually did make learning fun. The new stories don’t have the same historical weight to them. As for the stories themselves, they’d best be described as “adequate.” They’re not bad, but they’re not especially memorable — with the possible exception of the Sioux campaign, which I greatly enjoyed. 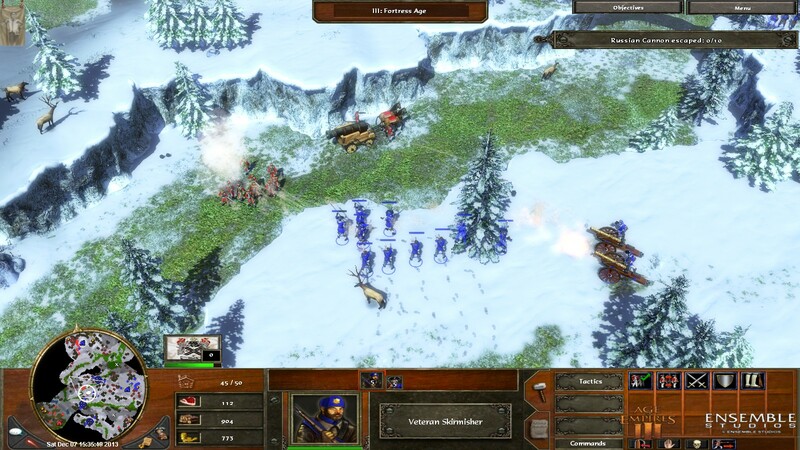 The thing I most enjoyed about AoE 3 was its old school RTS feel, particularly its slower pace. When I think about my fondest RTS memories from my youth, I think of epic, brutal scenarios played out over days. The sort of games where nearly every resource is mined out, where bases change hands multiple times, where countless digital soldiers have lost their lives in back and forth battles. 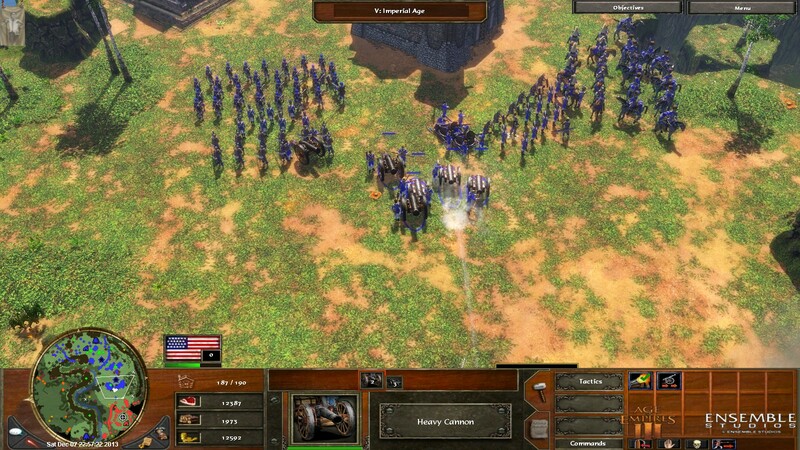 As much as I love the innovations of games like StarCraft II and Warcraft III, they don’t quite bring that same feeling of epic war that RTS games can capture so well. AoE 3 has that in spades. While some missions are hurried, plenty more are lengthy brawls of the like to bring glee to any RTS fan’s heart. Even in the shorter missions, I often found myself delaying my own victory just so I could spend more time exploring, upgrading, and building my civilization. After the over-caffeinated intensity of StarCraft II, the more relaxed pace is incredibly refreshing. I also quite enjoyed the skirmish versus AI mode. Much as I think Blizzard is the master of the RTS genre, they’ve never managed to get their versus AI matches to a decent place. The AI is always incredibly predictable, one-dimensional, and just plain wonky in its strategies. The AI in AoE 3 is much more balanced. There are a variety of difficulty settings providing appropriate experiences for all skill levels, and the AI is capable of executing relatively complex strategies effectively. An interesting twist this time around is that each civilization has a unique AI personality based on a corresponding historical figure. These personalities all have distinctive playstyles, usually relating to their civilization’s strengths, and that adds a fair degree of variety to the versus AI matches. A battle against Henry the Navigator plays out very differently from one against Ivan the Terrible, even with all other factors being equal. It’s also amusing that the personalities are fully voiced, and will sometimes taunt you or otherwise communicate, and just like their strategies, their styles of communicating vary wildly from one to another. Napoleon is a condescending prick, whereas Hiawatha is a noble, poetic soul. The graphics of AoE 3 have held up surprisingly well, considering it’s getting pretty old in video game terms. The land units don’t look the best up close, but the environments are still very pleasing to the eye, and the ships are spectacular. There are also some very impressive combat physics. Ships and buildings will not only catch fire when attacked, but they can have large pieces blown clean off. I’ve rarely seen the like even in much more recent games. 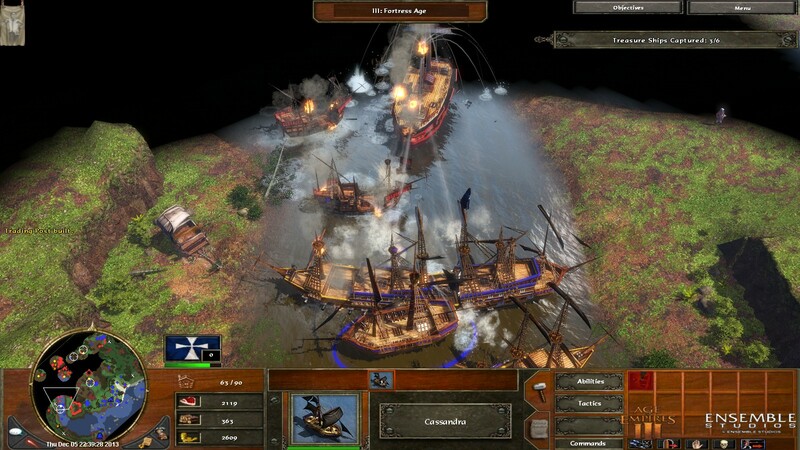 Large-scale naval battles are particularly spectacular as masts topple, the air fills with cannon smoke, and shards of wood and broken beams splash into the surrounding waters with every brutal impact. The music is pleasant enough, if not particularly memorable. The sound effects are good, especially the cannons, which provide satisfyingly visceral booms with every shot. If there is anything to complain about in Age of Empires III, it would perhaps be a lack of ambition. There are some underdeveloped features, and there aren’t a lot of mind-blowingly awesome moments to be had. But honestly, I’m reaching. There might be areas where it could have been better, but I can think of nothing about AoE 3 that’s actually bad. Games really don’t get more solid or polished than this. This is pretty much a flawless mechanical execution of a real time strategy game. 8.5/10 In the ludicrously unlikely event that you’re a strategy fan who hasn’t picked up AoE 3 yet, do so right the Hell now. In case you missed it, I’m holding a sale on my World Spectrum novels from now until January 1. You can pick up the entire series for under $5, and they’re free of DRM, so they also make a great gift option. 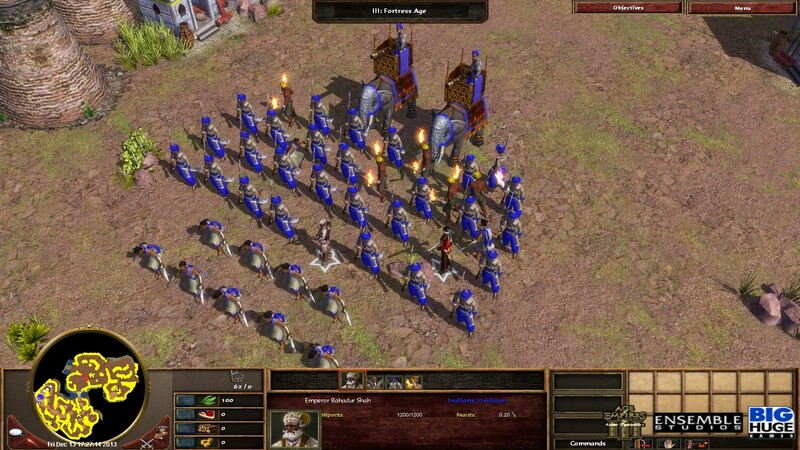 This entry was posted in Games, Retro Reviews and tagged Age of Empires, fantasy, review by Tyler F.M. Edwards. Bookmark the permalink. 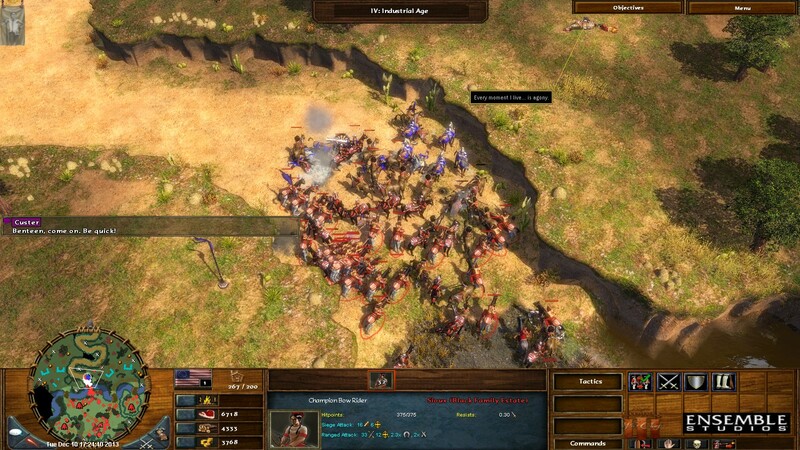 Have you played the Rise of Nations games? They are very similar to Age of Empires. I feel that they have a bit more depth to them. It might be worth checking out. I may look into them, though it’s hard to imagine a game being deeper than AoE without becoming downright obtuse. Well it is AoE played over a Risk-type map. At least in the original game. You start out randomly in the world and each country you go into gives you a scenario with goals to complete. This is where it turns into an AoE game. Not all of the scenarios are about the economics portion, some are just “you have 100 men, kill the barbarian leader in x amount of time” types. Rise of Nations: League of Nations, is a bit different. It felt a lot more of an economic-resource game to me. It did have an over-arching story throughout it though. Good review, and I agree with you on pretty much all counts. I played this game when it came out in fact, and at the time it was a solid RTS game, though I’ll pretty much remember Age of Empires 3 as the last foray before the franchise collapsed (if memory serves Ensemble Studios went bust after these games). Like you say, it does seem to suffer from a lack of ambition. They had a winning formula here to build upon, but they just didn’t. It’s a shame that today we look back at the first Age of Empires games as the foundations of RTS games today, but it’s no longer something that’s competing today. You’re right about the fact the original games get you interested in history – Age of Empires II was the first game I ever played, and I’ve always loved it. It’s a great way to bring history alive and really engage you about the past. Anyway, I’m also with you that after the medieval period, the history kind of dies for me too. I think in terms of gaming, it might just be that once you introduce guns into the equation, it just becomes build the most of the best shooting unit to win. Which, when I played this game, was amass huge hordes of Musketeers and Heavy Canons. Oh, have you ever played the Total War Games? Again, no. They just never looked all that interesting to me. Seemed a little too abstract from the heat of battle. I’d encourage you to give them a try. Since it is split between a campaign map and a battlefield map, it prevents economics effecting your battles. Some can be very intense; nothing like desperately trying to hold a river crossing against 6000 troops!